Huawei P30 Pro Offers: Shop Huawei P30 Pro smartphone worth Rs.79990 at just Rs.71990 from Amazon.in. 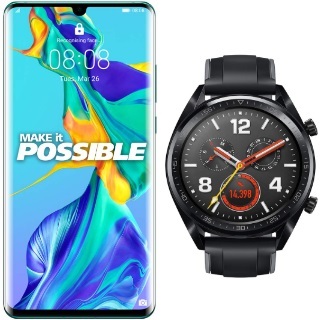 As a part of launch offer, If buy Huawei P30 Pro and Huawei Smart watch together then you can get Smart watch worth Rs.20990 at just Rs.2000. This offer is only for limited period. the Huawei P30 Pro assures a great smartphone experience. With a super camera system, this latest smartphone by Huawei allows you the capture stunning images and videos in high clarity. A true technological masterpiece, purchase the Huawei P30 Pro at Amazon.in and avail exciting deals.